Silver City Masters secured the only World record in Session 5 of the Swim England Masters National Championships 2017. Silver City’s 100+ Women’s 4x200m Freestyle relay team comprised of Rachael Keir, Louise Kennedy, Kelly Mcintosh and Laura Robertson. They were an unstoppable force throughout the race, taking over five seconds off the previous world marker. They touched in 8:53.34 for gold. There were two European records set in the 800m Freestyle relays. The first came from Mary Johnson, Jennifer Dean, Rose Dudeney and Alison Gwynn of Mid Sussex. They swam an incredible time in the 280+ age group, touching in 12:57.88 against the previous European best time of 13:21.80. Warrington Masters took the second European record in the men’s relays, lowering the bar from 8:51.97 to 8:48.25 in the 200+ age group. Newcastle and East Leeds men’s relay teams both claimed British records in the 4x200m Freestyle relays. Chris Knee, Alistair Crawford, James Warren and Richard Jagger of East Leeds lowered the 120+ record from 8:14.30 to 7:56.85. Nick Valentine, William Jolly, Julian Plumley and Neil Bowers of Newcastle took almost six seconds from the 160+ age group British record, touching in 8:15.05. 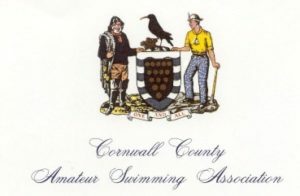 Sophie Casson of Carnforth completed a backstroke double in the 30-34yrs age group. After lowering the 100m Backstroke world record in Session 2 yesterday, Casson looked confident in the 200m. She was over 10 seconds ahead of the rest of the field, touching in a new European record of 2:13.97. Julie Hoyle of East Leeds also set a European record in the 200m Back, winning gold in the 55/59yrs age group in the process. She lowered the marker from 2:42.12 to 2:40.92. Martin Fenner of Romford Town was the only man to break a record in the 200m Backstroke. He shaved two seconds from the 55-59yrs British record, taking gold in a time of 2:25.46. 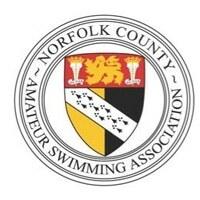 Fareham Nomads and Birmingham Masters both set European record times in the Mixed 4x100m Medley relays. 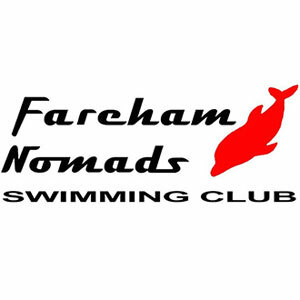 Fareham took the 160+ record in a time of 4:15.05 thanks to some quick splits from Joanna Corben, Martin Bennell, Noemie Peignon and Johannes Berbers. The Midlands team followed suit in the 240+ age group. Trevor Clark, Hayley Bettinson, Spyros Georgallides and Judy Wilson shaved over eight seconds from the old marker, touching in 5:03.39. Lawrence Palmer of Putteridge sliced through the 25-29yrs European record to take gold in the 100m Breaststroke. He was just 0.02 seconds away from swimming the fastest time in the world, touching in 59.23. 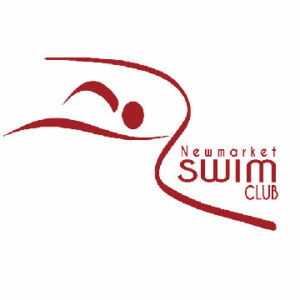 David Millburn of Newbury swam 1:12.56 for a 55-59yrs British record and Nene Valley swimmer Barry O’Brien swam 1:15.74 for the 60-64yrs British record. Georgina Heyn, Helen Gorman and Amanda Heath were the British record breakers in the women’s event. For Gorman it was the third British marker she had set, after clocking new times in the 200m Breaststroke and 100m Individual Medley on day one. She touched in 1:14.01 for victory in the 45-49yrs age group. Teddington’s Heyn had been part of a number of relay records over the course of the meet, as well as an individual British record in the 200m Breaststroke yesterday. She took her tally to two in the 100m, swimming 1:09.30. Spencer’s Amanda Heath was just one tenth of a second under the 60-64yrs British record time, dropping the marker to 1:27.63. Michael Hodgson added two more British records to his tally in the second session on day two. He won both the 50m Freestyle and 100m Breaststroke in record times, swimming 24.34 and 1:07.11 respectively. This took his British record count to three, after he won the 100m Individual Medley in Session 2 yesterday. Alyson Fordham, Alexander Smith and David Emerson swam fastest British times in the 50m Freestyle to join Hodgson as English Masters champions. Romford Town’s Fordham snuck under the 60-64yrs record to take gold, swimming 30.69. For Woking’s Smith, it was almost as tight. His record time was 22.37 compared to the previous 22.51 in the 25-29yrs age group. Emerson’s came in the 55-59yrs age group. The East Leeds swimmer touched in 25.42, just five hundredths of a second faster than the old record.